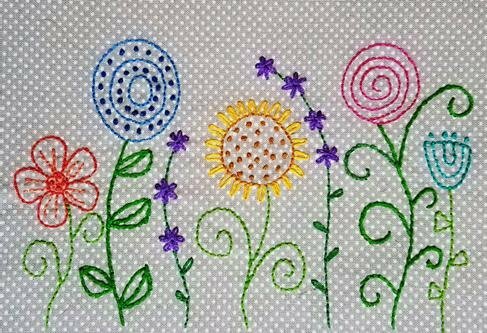 If you've always wanted to try your hand at hand embroidery or want to brush up on your skills, then come and learn the process of this enjoyable technique. You'll learn how to do the Stem Stitch, Back Stitch, Blanket Stitch, French and Colonial Knots, Chain Stitch and Lazy Daisy Stitch while making this project designed by Patty. You finished stitchery can be framed, used as a block in a quilt, or made into a pincushion. The required kit, $14.99 (not included in class fee), contains everything you need for the class except scissors and reading glasses.